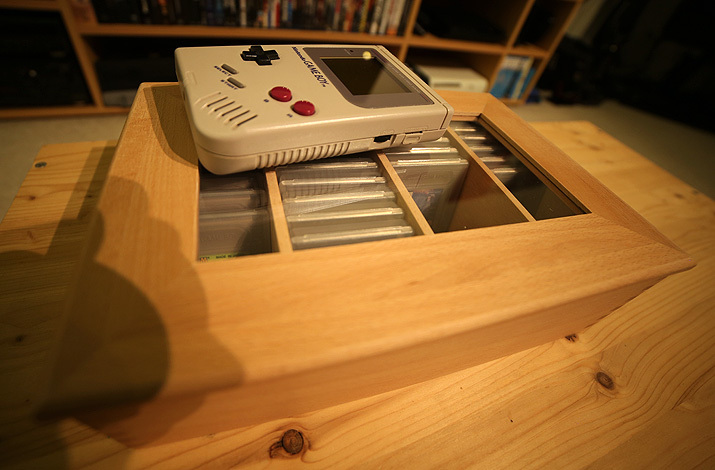 ALDI sometime offers this wooden box for a teabags and some guys already found out that the original GameBoy cartridges perferctly fits inside. This box has a good stabile quality and is made out of beech tree. 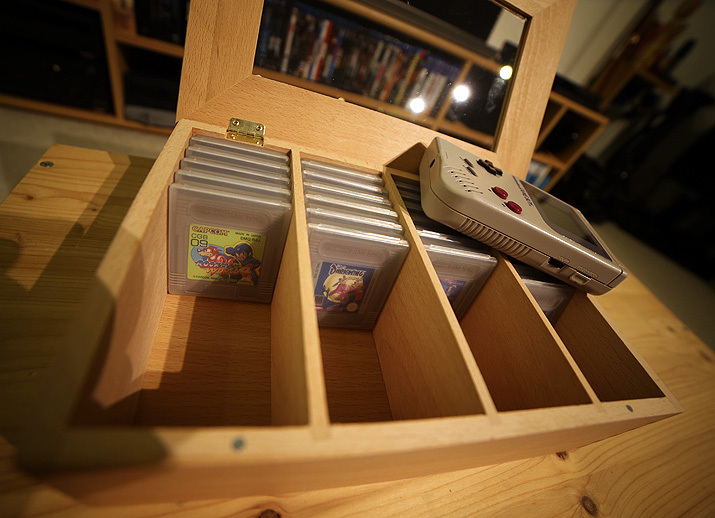 The cover of the box has a glass window and also even has a two magnets to hold it close.